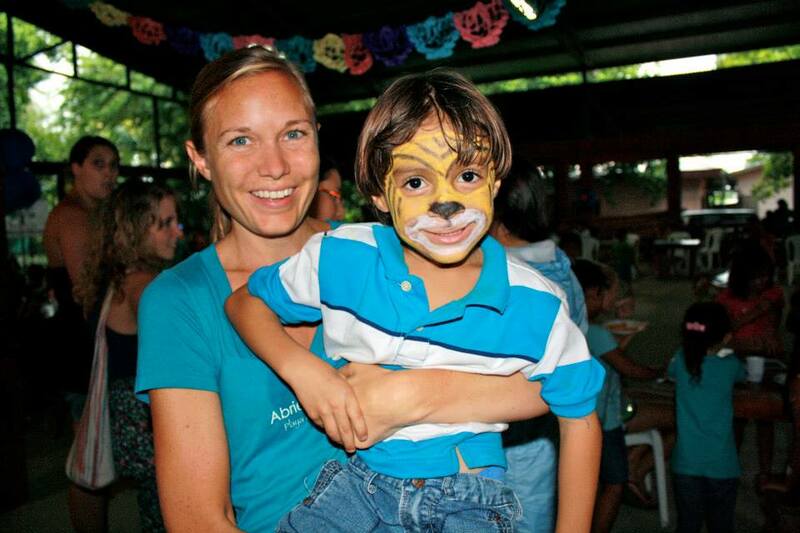 Meradith Leebrick is the co-founder of Abriendo Mentes, a non-profit organization focused on empowering people in Guanacaste, Costa Rica to access enhanced education and employment opportunities, helping local families to achieve economic stability. The organization offers local residents the skills they need to enhance their lives through an innovative and engaging education program. Immediately after finishing undergrad, Meradith started working as an assistant shoe buyer at Neiman Marcus, a high-end retail store in the US. She soon realized that she wanted more than to be a small part of corporate America. She wanted to have a job that was meaningful and had a positive impact on the world. After taking a trip with her family to Costa Rica, Meradith decided to leave her position at Neiman Marcus and return to Costa Rica to study Spanish. She went to the border region between Costa Rica and Nicaragua, a stunning area with a growing tourist industry. Meradith soon discovered that, even though the area was predominantly inhabited by a mix of local Costa Ricans of Chorotegan decent and Nicaraguan immigrants, the majority of the higher end tourism jobs went to Costa Ricans who are usually recruited and brought in from the capital region. This is because the locals did not possess the skill-set and knowledge needed to compete for these new employment opportunities, as a result of a lack of educational and occupational training infrastructure in the region. In particular, the lack of foreign language skills prevents the locals from accessing the wealth of tourism jobs that are currently available. In the small town of 450 inhabitants called Playa Potrero where Meradith settled alongside one of her Spanish classmates, most of the community members had lower-level jobs, precisely because many of them had been unable to complete school. Meradith and her friend lived in the community for two years, building up close connections and friendships with the locals, before the idea of creating a non-profit even appeared. This possibility arouse serendipitously, emphasized Meradith, when her colleague was asked by one of the locals to tutor his daughter and her two cousins, during one of the numerous teachers’ strikes that take place in the region. As a result of school vacation and the strike, the children hadn’t been to school in four months. He graciously agreed and started to offer them classes. The word about his initiative went out and more and more students started to attend out of their own volition. Seeing the success of the initiative as well as the ardent need for it, Meradith and her colleague decided that this would be where they could make a real contribution and have a lasting impact. They started with a blackboard, a box of broken crayons and a notebook on which they made handwritten notes about the classes. They distributed them, by going door-to-door in the community. People responded in a positive manner instantly. Four years later, Abriendo Mentes has two offices, a community classroom and a staff of around 17 volunteers and interns at a time. The organization has brought over 200 volunteers from over 20 countries around the world. While originally the organization was focused on providing English lessons to youth, it has expanded to include three pillars of year round programming for youth and adults: Educational (developing English and vocational skills); Technology (developing computer literacy); and Community Engagement (developing health and quality of life). In the past, the locals from the region were able to easily sustain themselves as fishermen and farmers. But given the rapidly changing face of the regional economy, that is becoming harder and harder to do. Meradith emphasized that, through her organization, she is trying to simultaneously motivate these people to seek to be educated as well as to equip them with marketable skills allowing them to compete for higher-end jobs. Most of the organization’s funds come from private donations. Abriendo Mentes prides itself with being able to make a huge impact with limited resources, which has allowed the organization to never over-extend itself and to grow based on the community’s need. One of her favorite accomplishments is the story of a young girl who came to the program without any prior knowledge of English. When the girl started high-school, she astounded her English professor with her knowledge of the language. Meradith emphasizes that for this young girl, as for many others of the participants in the Abriendo Mentes programs, the change goes deeper than simply knowing the language. The girl, who originally had little interest in school, had gained a desire to be educated. Another cherished moment for Meradith is when the community came together to raise funds to build a community classroom where Abriendo Mentes could teach. It showed to Meradith how much the community truly wanted to focus on enhancing education, and working together to achieve a better future. In terms of upcoming plans, one of Abriendo Mentes’ key focuses at the moment is to create a focused adult curriculum focused on job-specific skills that the locals may need in order to get a particular type of job. For instance, in a restaurant or in a hotel, the English and computer skills people would need to use would be quite different. At the same time, the organization is trying to engage local hotels, in order to determine what type of skill-sets they are expecting their employees to have. The organization has recently extended their programs to the neighboring village of Playa Brasilito, where they plan to set up a new office.